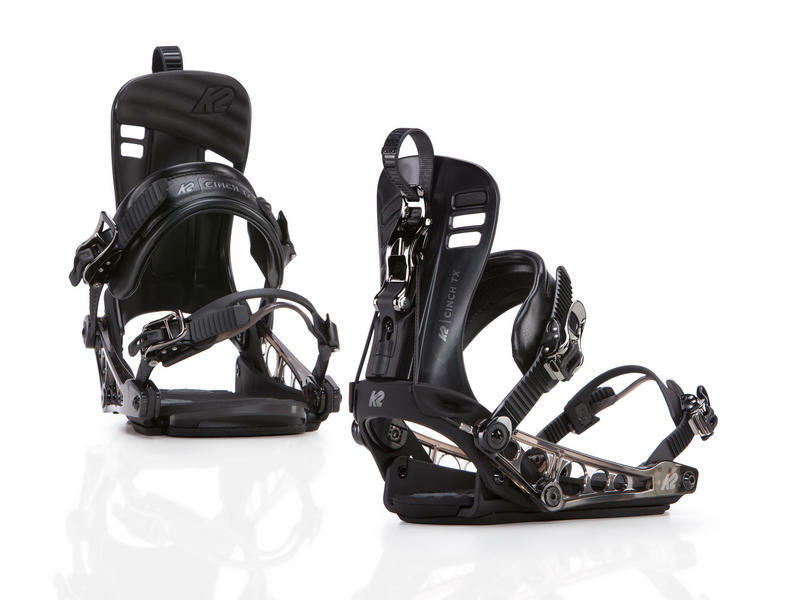 The K2 Cinch TX is top of the pile when it comes to step in / rear entry snowboard bindings. It ups the ante in performance and expectation in the step-in market. In the past, riders that wanted step in technology sacrificed performance and fit—this is a compromise of the past. The TX is built on an ultra-supportive chassis with extremely clever counter levered mechanism which moves the straps up and out of the way as the highback drops. 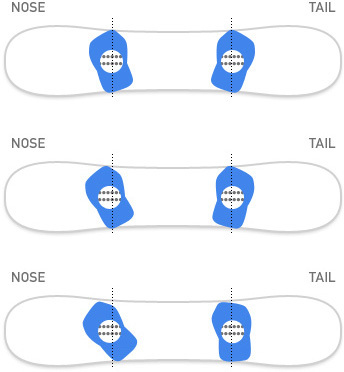 Add to this 3 degree canting on the very comfortable Cinch TX footbeds for a more egonomic aligned stance on your board to prevent stress on the knees and ankle. Did I mention Tripod technology? Well that is K2 clever chassis which allows you to dial in the lateral flex of the binding through 3 different durometer bushings included in the box. 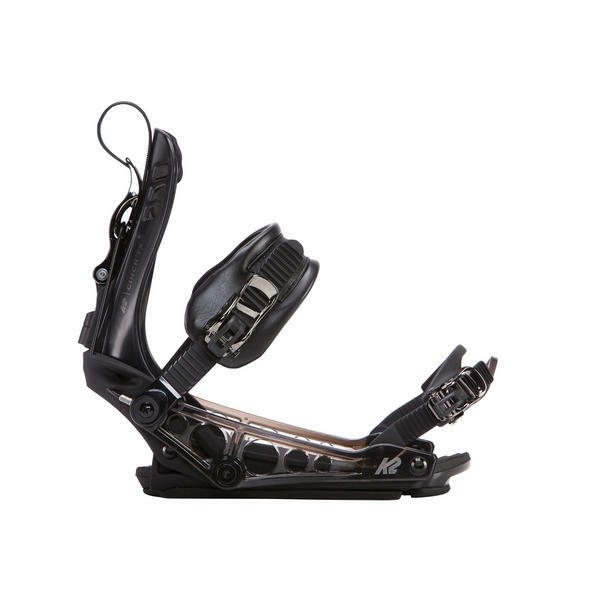 The Tripod chassis is 3 contact points one either side at the front of the binding and one right under your heel. This reduces the contact area down to its most minimal form when combined with K2s mini disc used on this model. What does all this mean? It allows the chassis to have a little lateral flex to feel a tad more forgiving and absorb vibrations and shocks, want more vibration dampening? Use the softest bushing, want more response? Go for the hardest bushing, want it really loose and free? Remove the full EVA foam basepad which sits underneath the binding for a much surfier feel. K2’s new Opti Highback that folds back at the flip of a lever for rear step-in entry is even more refined now with less weight and super sleek looks. Add in a minimal strap and a Perfect Fit toe strap and you have the best speed entry binding on the market, these are goooooood!! Tunable Tripod Chassis - Customized support and flex, 3 different durometer bushings included? NEW! Perfect Fit 2.0 Toe Strap - Refined to fit any boot, the toe cap can be adjusted between the top section and the bottom independently and widened for the perfect fit on any boot. 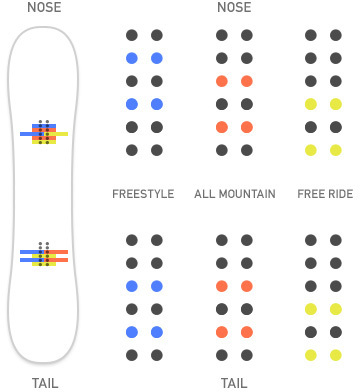 Natural Flex and Feel, Ideal for Freestyle and a laid back style.